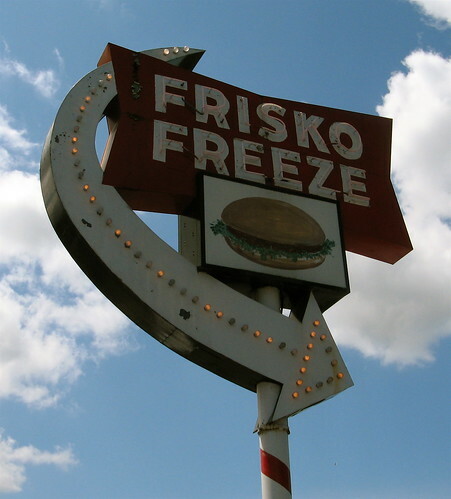 I hate to lump in one of the Icons of Tacoma with run-of-the-mill fast food joints, but the beloved Frisko Freeze has a window you order from, and while not as fast as the big chain brethren, it’s still fast food. I confess that this is my first hot dog from here, as their selection of oh-so-delicious burgers is usually on my mind as I pull in. Lunch is served, and it’s done so in the classic Frisko Freeze bag that pretty much everything there is served in. The hint of grease on the bag gets the tastebuds jumping. I almost drop to my knees as the monstrous onion pile does not even flinch as the first bite is taken. NOT ONE piece of onion bails out to meet it’s demise on the countertop. The second bite was a different story, but the first bite test was unmatched in it’s passing marks. The dog inside was great. Very flavorful, nice touch of smoke. Not overly greasy. Cooked to a shade of brown that did not deter me in any way. 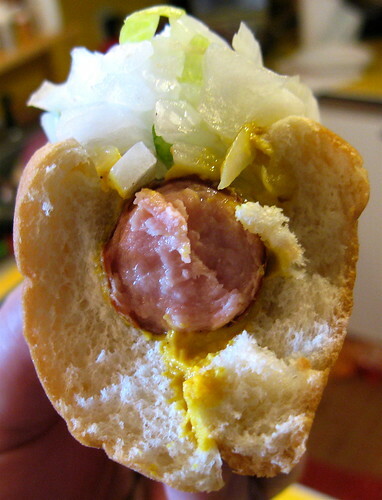 Mustard throughout, and yes, plenty of onions hung on for the ride. Damage done: $3.74 ($1.99 – Hot Dog, $1.45 – medium lemonade w/fresh strawberries, and 30 cents for that greedy little tax man). 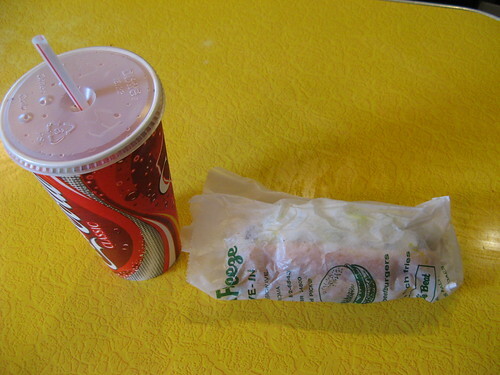 The Frisko Freeze trumped the A&W Coney, even without chili.